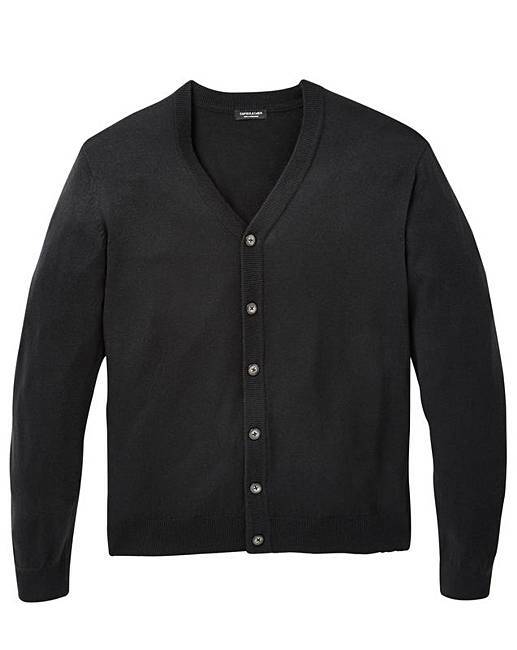 Black Button Cardigan is rated 4.4 out of 5 by 15. 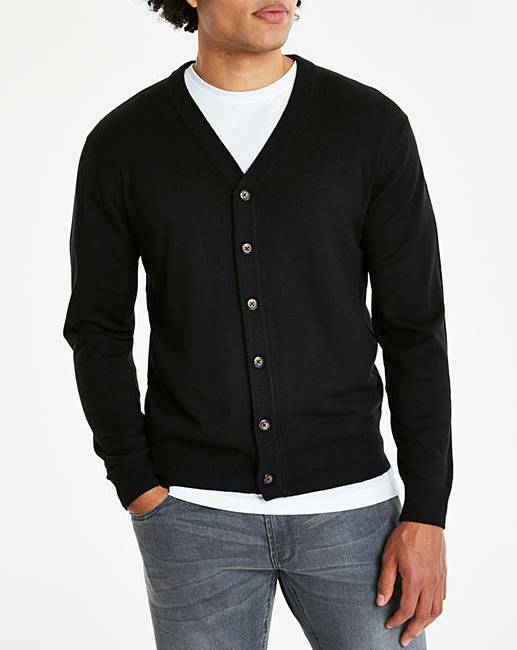 Button cardigan features ribbed cuffs and hem. Rated 5 out of 5 by Nanny9 from Lovely Cardi. True to size Father-in-law very pleased with the Cardigan. Looks smart. 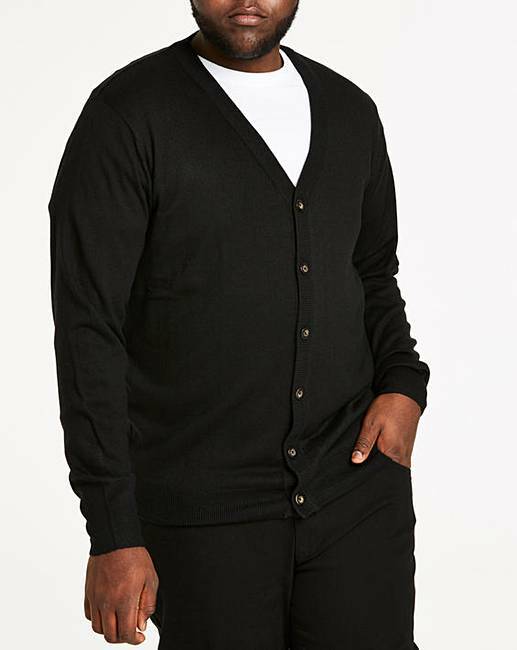 Rated 5 out of 5 by Tania from Great item Very happy with the cardigan , size was spot on, fits great , feels good , inexpensive but doesn't look it . Rated 4 out of 5 by FiremanSam from nice & warm good choice for these winter evenings, light enough to wear when the temp drops, but not heavy nice to relax in whilst watching late night TV. Rated 5 out of 5 by Phillip from Excellent! Good quality, good fit, really comfortable, and excellent value for money. Will buy again! Rated 2 out of 5 by Gregdufc from Ok. Too thin Looks good in pics. But very thin product. Feels like not even wearing it. 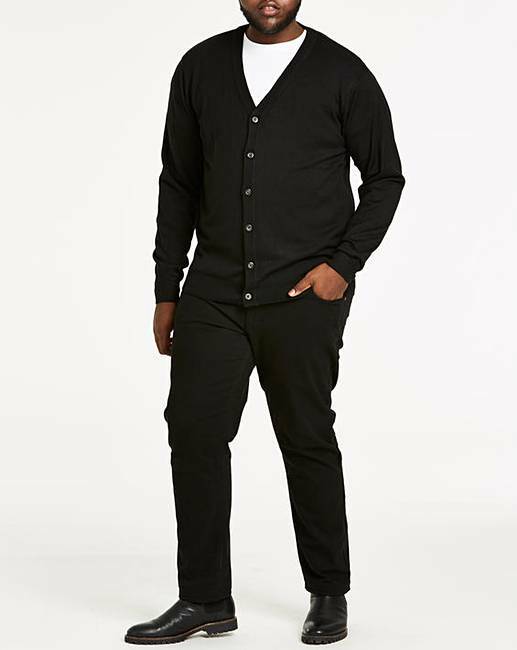 Rated 5 out of 5 by marilyn7552 from Good quality cardigan Quality, soft feeling cardigan, ideal for my partner to wear to work. Warm but not too bulky. Rated 5 out of 5 by Brooksy from Excellent value Great item can wear smart or casual and you can not go wrong at the price.